1475 Gillaspie Dr. Boulder, Co 80305 Across from Veili Lake Park in Table Mesa. 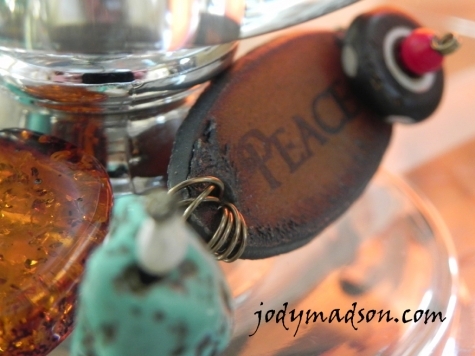 Gems you want to use to create a suncatcher and or embellished found object. maybe your old jewelry you can take apart and recycle? 2. Also Michaels has a large supply! I'll Furnish: extra gems to add to your collection! 1. All other supplies - tools, wire, waxed leather cord, chain, and 'found object' to embellish.